Indigo is one of the colors of the rainbow, as easily recognized as it is fashionable. From its origins as a naturally produced dye, most common in India, to its ubiquitous appearance in blue jeans today, indigo has traveled far and wide. Nicola Gouldsmith shows you how to use indigo to dye fabric in different ways, including dip-dyeing, tie-dyeing, batik, shibori, and arashi, as well as basic plain dyeing. She then shows you how to use the results of your dyeing to make beautiful items to wear, and for the home, such as a tie-dyed t-shirt, a batik wall hanging, and a dip-dyed shawl. 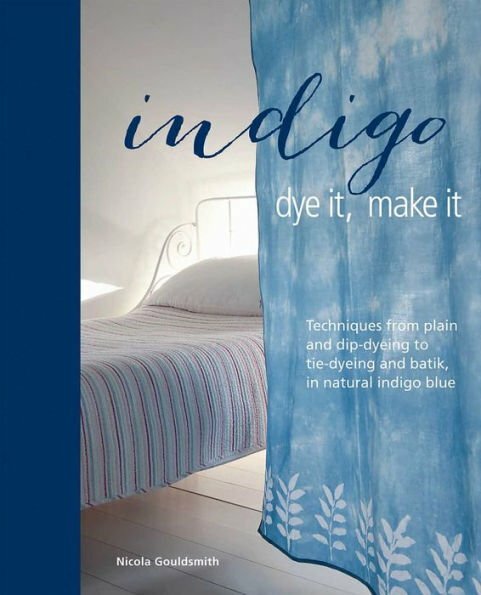 With the help of the clear step-by-step instructions for each project, a full section in each chapter explaining the relevant method of dyeing, and a techniques section to explain any sewing or other skills needed, you will soon be able to create your own indigo world.